The default mouse/cursor in Windows 10 is white with a black border and some shadow. Often, for contrast reasons or from a cosmetic point of view, you may wish you had a black cursor in Windows 10. The mouse cursor looks like MacOS. 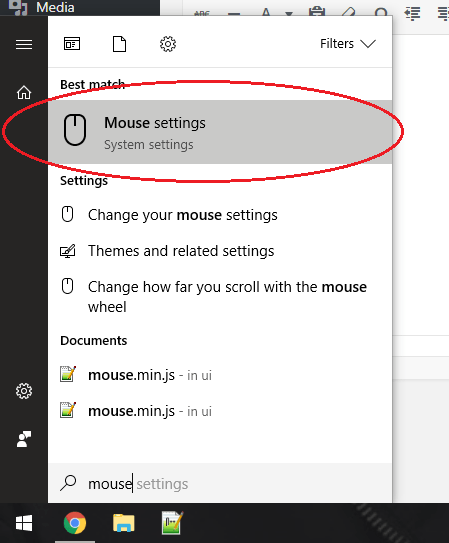 To start to change your cursor in Windows 10, go to Start and type ‘Mouse’. From there, click the ‘Mouse Settings’ item. Then, download the following file: windows_10_cursor___black_version_by_twipeep-d9gtbnz.zip (source: DeviantArt). Now from the mouse settings menu, go to ‘Additional Mouse Settings’ in the right upper corner. 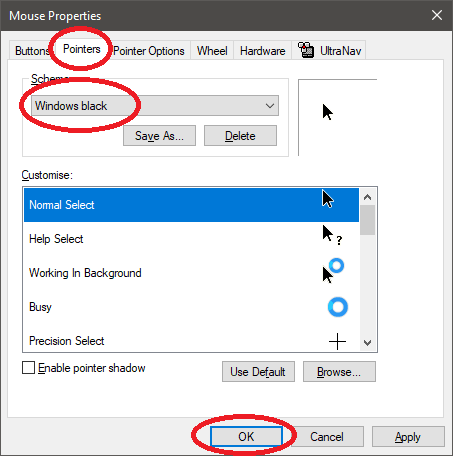 From the Mouse Propreties Window, you can now go to Pointers and select the Windows Black Scheme from the list of mouse schemes. Don’t forget to Apple and press OK to save your newly set settings and apply them so that the black MacOS-like mouse cursor in Windows 10 is now live on your laptop, desktop or tablet!